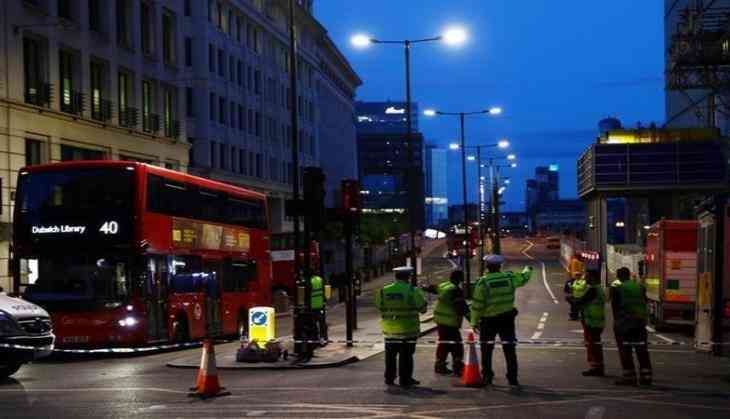 Saturday night's London Bridge terror attack, which claimed the lives of seven people, including the three attackers involved, and left 48 others injured from bullet and knife wounds, has once again shifted focus to Pakistan, as one of the attackers gunned down, it turns out, was a jihadist of Pakistani origin. It would not be farfetched to repeat what the international community has been saying and maintaining for long, that Pakistan most definitely is one of the cradles of terror. A majority of the experts, most specifically in the South Asian region, agree that Pakistan not only acts as a cradle of terrorism, but is also committed to the promotion of terrorism. The Metropolitan Police's revealing the name of one of the attackers Abz as being a person of Pakistani origin and describing him as a "Jihadi" living next door, is a certification of this fact mentioned above. Twenty-seven-year-old Abz is also described by The Sun in its report as an ex-London Tube worker and a 'family man', who appeared on a Channel 4 TV documentary titled "The Jihadis Next Door" not too long ago and unfurled a jihadist flag in a park in an attempt to radicalise young kids. He has now been identified by the police as the ringleader of 3 June's London Bridge and Borough Market terror attack. At the time of his elimination within eight minutes of launching his attack, Abz was pictured wearing an Arsenal strip, reports the British daily. Abz identity was revealed through a former friend, who contacted the police about the terror thug's extremist views, and claimed that this father of two had gotten increasingly radicalised by watching twisted YouTube videos. He said Abz had become brainwashed after watching clips of American hate preacher Ahmad Musa Jibril which was easily accessible on YouTube and is so even now. This friend of Abz said that he phoned an anti-terror hotline and informed as to why he thought the former was radicalised. In his view, the delay on the part of the law enforcement authorities to act on his information, promptly resulted in the knifing of bystanders and pub-goers and being caught in the crossfire. Another friend of Abz, described him as a person who was a bit shady and found him to be on drugs. He, however, adds that when he became radicalized, all that changed. He used to ask neighbours whether they prayed or not etc. The police have so far made 12 arrests, most of them in Barking, East London. On 5 June, a minute's silence will be observed nationwide at 11 a.m. local time and a vigil will take place at Potters Fields Park in London at 6 p.m. local time for those who have lost their lives and those who were injured.